OBJECTIVES: The purpose of this pilot study was to evaluate the root lengths of upper incisors as an indication of the degree of orthodontically-induced apical root resorption following treatment with Smart Track® aligners and compare it with two different fixed orthodontic appliances – regular and Damon brackets – using cone-beam computerized tomography (CBCT). MATERIALS AND METHODS: The sample comprised 33 patients with class I malocclusion and 4–6 mm crowding divided in 3 groups; Group I: 11 patients treated with Smart Track® aligners, group II: 11 patients treated with Damon brackets, and group III: 11 patients with regular brackets. Maxillary incisors teeth lengths were assessed using Dolphin imaging software before and after treatment. All data were analyzed using analysis of variance and t-test. RESULTS: All groups showed statistically significant root resorption, 0–1.4 mm for clear aligners, 0.1–2.3 mm for Damon, and 0–2.5 mm for regular brackets group. However, cases treated with fixed appliance in general showed significantly higher resorption than those treated with Smart Track® aligners (P < 0.05). CONCLUSION: Orthodontically-induced root resorption, as evaluated by root length, is an inevitable drawback with different orthodontic techniques. However, the use of Smart Track® aligners showed less root resorption relative to regular fixed appliances. Orthodontically-induced root resorption is one of the common undesirable sequalae of orthodontic treatment. Literature has shown that most orthodontically-treated patients experience variable degrees of root resorption. The incidence of root resorption during orthodontic treatment varies widely among investigators. In a study by Taithongchai et al., one-third of the patients treated with fixed appliances showed more than 3 mm of root resorption whereas at least 2% of orthodontic patients showed more than 5 mm of root resorption. Orthodontically-induced root resorption can affect any tooth in the oral cavity. However, the maxillary central and lateral incisors are considered the most susceptible to resorption. The exact mechanism of orthodontically-induced root resorption is not clearly understood. However, this phenomenon presents with multifactorial etiology. Several biological, mechanical, and clinical factors were considered for root resorption following orthodontic treatment. Biomechanically, the technique or the appliance used for an orthodontic treatment can be an important determinant factor in the degree of root resorption. In general, light orthodontic forces usually tend to cause less resorption. Till now, the degree of apical root resorption following treatment with Smart Track® aligners has not been reported in the literature. Therefore, the purpose of this pilot study was to evaluate the degree of orthodontically-induced apical root resorption following treatment with Smart Track® aligners and compare it with two different fixed orthodontic appliances – regular and passive self-ligating brackets. This study was approved by the Human Research Ethics Board (HREB) at the university of Alberta, Edmonton, Alberta. Canada (Protocol # Pro00040543). Sample size was calculated based on a study by Raza et al., with an alpha error of 0.05 and a beta of 0.2 to achieve a test power of 80%. The sample size calculation showed that 11 patients were needed in each group. Thus, a total of 33 patients were included in this pilot study. Patients' data were collected from the orthodontic graduate clinic in University of Alberta. Patients with the following inclusion criteria and none of the exclusion criteria were included in the study. Females between 14 and 25 years of age. Patients should have a cone-beam computed tomography (CBCT) taken before and after orthodontic treatment. History of previous trauma or endodontic treatment. Cases with deep bite (100%) or open bite. Group I (Smart Track®): 11 patients (5 males and 6 females, mean age of 18.34 ± 2.82 years) were treated with Smart Track® aligners (San Jose, California, USA). Group II (Damon): 11 patients (4 males and 7 females, mean age of 17.71 ± 2.22 years) received treatment with Damon-Q self-ligating brackets (Ormco Corporation 1717 West Collins Avenue Orange, CA). Group III (regular brackets): 11 patients (6 males and 5 females, mean age of 17.34 ± 2.38 years) were treated with regular preadjusted edgewise brackets (3M Unitek, California, USA). The lengths of the maxillary central and lateral incisors were measured before and after treatment using CBCT using Mimics software version 19. The incisal edge and root apex were first determined on in the sagittal plane [Figure 1] based upon visual inspection only. If necessary, adjustment of their exact position was made in the coronal plane [Figure 2] and axial plane [Figure 3]. Using the Mimics software, the coordinates of these two points were determined, and the length of each tooth was recorded from the incisal edge to the apex as the distance between these two points. Evaluation of root resorption was performed by one author who was blinded to the patients' treatment techniques. Further, the investigator was blinded to whether they were before or after treatment. All data were labelled with numbers and sent to a statistician who was also blinded regarding patients' groups. Measurements from 18 randomly selected patients, 6 from each group, were repeated after 4-week interval and compared to calculate the measurement errors. Kappa statistics and Dahlberg formula (Se2 = ∑d 2/ 2n) were used to calculate the accuracy of measurements, where Se2 is the error variance, d is the difference between repeated measurements, and n is the number of paired repeated measurements. Statistical analysis was performed using SPSS Version 21.0 (SPSS Inc, Chicago, Illinois). Shapiro–Wilk test was used to verify normal distribution of the data. Paired t-test was performed to detect root resorption within each group. Analysis of variance (ANOVA) test was used for comparing the mean changes among the three groups. If a statistically significant difference was found (P< 0.05), a Tukey multiple-comparison test was used. Kappa statistics showed no significant systematic errors and casual errors (Dahlberg formula) were within acceptable limits (P = 0.740 and Dahlberg = 0.371). This indicates that there was an acceptable reliability in the measurement method. Groups were comparable regarding patients ages, treatment duration, and pre-treatment crowding as there were no significant differences among all groups (P > 0.05) [Table 1]. Measurements of teeth lengths as well as comparisons before and after treatment for all groups are shown in [Table 2], [Table 3], [Table 4]. Comparisons among all groups are shown in [Table 5]. In group I (Smart Track® aligners), all maxillary incisors exhibited statistically significant decrease in root length as an indication of root resorption (0.44 ± 0.35; P < 0.05). Root resorption ranged from 0 to 1.4 mm. For group II (Damon), all maxillary incisors showed significant root resorption (0.55 ± 0.38; P < 0.05). The range of resorption was 0.1–2.3 mm. Regarding measurements in group III (preadjusted edgewise brackets), all incisors exhibited significant root resorption (1.04 ± 0.67; P < 0.05); which ranged from 0 to 2.5 mm [Figure 4]. Intergroup comparison revealed significant differences in root resorption between group I (Smart Track®) and group III (preadjusted edgewise brackets) (P< 0.05), whereas no significant difference was noted between Smart Track® group and Damon group (P > 0.05). Except for maxillary lateral incisor, no statistically significant difference was found between group Damon and regular brackets groups (P > 0.05). Apical root resorption following orthodontic treatment is still one of the unfavorable consequences of different treatment techniques and appliances. The aim of the present study was to evaluate the degree of root resorption following Smart Track® aligners and compare it with similar cases treated with either a passive-ligating Damon-Q system and the conventional preadjusted edgewise brackets appliances. The amount of root resorption following orthodontic treatment is associated with treatment duration due to persistent bone turnover associated with prolonged tooth movement. In the current study, the mean treatment duration was similar among all the groups, thus treatment duration did not contribute to any difference in root resorption. In the present study, only maxillary incisors were selected for evaluating the degree of orthodontically-induced root resorption because these teeth are uni-radicular and usually more affected by resorption than other teeth in the mouth. The findings of this study showed that all cases treated with Smart Track® aligners showed significantly less root resorption than those treated with conventional preadjusted edgewise brackets appliances. This result is in agreement with a study by Boyd  who concluded that aligners could be preprogrammed to control the magnitude of force applied on teeth, and consequently, the stresses on apical area could be controlled to prevent or even minimize the incidence of orthodontically-induced root resorption. A possible explanation of this finding may be attributed to the intermittent forces applied by removable aligners which may allow root cementum to heal, and consequently, further root resorption could be prohibited during the pause. On the contrary, a recently published study  found similar predisposition to apical root resorption using either removable aligners or fixed appliances. They suggested that orthodontic forces with either appliances triggers a cellular and molecular responses that would result in root resorption. The low friction Damon self-ligating bracket system was believed to produce light orthodontic forces which could be more physiological to the periodontal ligaments, and hence, less root resorption would be expected. The findings of the current study did not support this hypothesis. All cases treated with Damon Q showed statistically significant root resorption following orthodontic treatment which indicated that magnitude of orthodontic force was not the main decisive factor in the process of root resorption, and consequently, light orthodontic forces can also cause root resorption. Surprisingly, after analyzing all data, and despite lower values for resorption were found with aligners, we found no statistically significant root resorption between cases treated with Smart Track® aligners and those treated with Damon Q system. Regarding the difference in root length as a reference of root resorption between self-ligating and conventional bracket systems, the results of this study suggested no significant differences between both systems. This is in accordance with several other studies , who found similar degrees of root resorption following treatment with either bracket system. The results of the present study should be interpreted with caution. Despite using a three-dimensional imaging method to measure teeth lengths, the use of linear measurements between incisal edge and root apex may be less accurate than the more comprehensive volumetric measures. Fortunately, an ongoing research by the authors using volumetric teeth and roots measurements is under investigation. According to the results of the present study, orthodontically-induced root resorption is an inevitable drawback with different orthodontic techniques including removable aligners. However, the use of Smart Track® aligners showed less decrease in root length as an indication of decreased root resorption relative to conventional preadjusted edgewise appliances in cases of Class I malocclusion with mild to moderate crowding. No significant difference in root resorption were found between aligners and passive self-ligating Damon Q systems. The authors would like to thank Align Technology, Inc. for supporting this research through the 2016 Align Technology Research Awards Program. Taithongchai R, Sookkorn K, Killiany DM. Facial and dentoalveolar structure and the predictionof apical root shortening. Am J Orthod Dentofacial Orthop 1996;110:296-302. Iglesias-Linares A, Sonnenberg B, Solano B, Yanez-Vico RM, Solano E, Lindauer SJ,et al. Orthodontically induced external apical root resorption in patients treated with fixed appliances vs removable aligners. Angle Orthod 2017;87:3-10. Killiany DM. Root resorption caused by orthodontictreatment: An evidence-based review of literature. Semin Orthod 1999;5:128-33. Weltman B, Vig KW, Fields HW, Shanker S, Kaizar EE. Root resorption associated with orthodontic tooth movement: A systematic review. 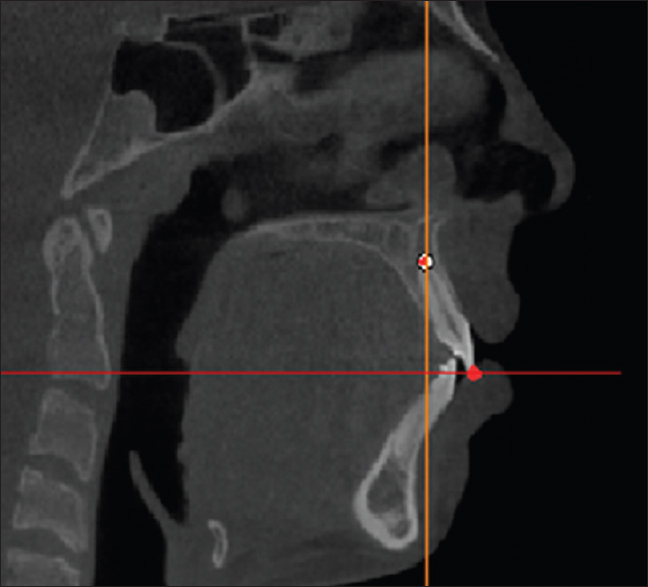 Am J Orthod Dentofacial Orthop 2010;137:462-76; discussion 12A. Damon DH. The Damon low-friction bracket: A biologically compatible straight-wire system. J Clin Orthod 1998;32:670-80. Handem RH, Janson G, Matias M, de Freitas KM, de Lima DV, Garib DG,et al. External root resorption with the self-ligating Damon system-a retrospective study. Prog Orthod 2016;17:20-016-0133-1. Leite V, Conti AC, Navarro R, Almeida M, Oltramari-Navarro P, Almeida R. Comparison of root resorption between self-ligating and conventional preadjusted brackets using cone beam computed tomography. Angle Orthod 2012;82:1078-82. Tawfik A, Hemeda OM, El-Bialy T. Composite Polymers Transducers for Ultrasonic and Biological Applications. Ferroelectrics Lett Section 2003;30:1-12. Brezniak N, Wasserstein A. Root resorption following treatment with aligners. Angle Orthod 2008;78:1119-24. Raza H, Major P, Dederich D, El-Bialy T. Effect of low-intensity pulsed ultrasound on orthodontically induced root resorption caused by torque: A prospective, double-blind, controlled clinical trial. Angle Orthod 2016;86:550-7. Houston WJB. The analysis of errors in orthodontic measurements. Am J Orthod 1983;83:382-390. Chen W, Haq AAA, Zhou Y. Root resorption of self-ligating and conventional preadjusted brackets in severe anterior crowding Class I patients: A longitudinal retrospective study. BMC Oral Health 2015;15:115. Copeland S, Green LJ. Root resorption in maxillary central incisors following active orthodontic treatment. Am J Orthod 1986;89:51-5. Boyd RL. Complex orthodontic treatment using a new protocol for the Invisalign appliance. J Clin Orthod 2007;41:525-47; quiz 523. Ballard DJ, Jones AS, Petocz P, Darendeliler MA. Physical properties of root cementum: Part 11. Continuous vs intermittent controlled orthodontic forces on root resorption. A microcomputed-tomography study. Am J Orthod Dentofacial Orthop 2009;136:8.e1-8; discussion 8-9.